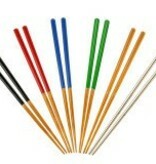 Chopsticks that spin apart like mini pool sticks. 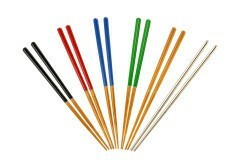 This company is known for their use of recycled bamboo chopsticks to make unique products. 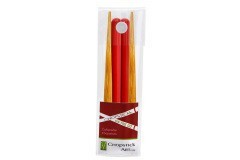 But these are made with new bamboo and come in neat little carrying cases and can be tossed into a bag, purse or pocket for spontaneous use with your favorite chopstick appropriate food. 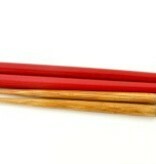 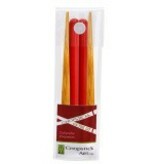 Current selection is four colors in bamboo (Red, Green, Blue) plus Koren style stainless steel chopsticks. 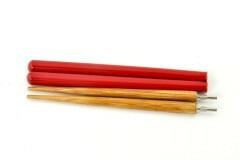 Please specify color in notes section.